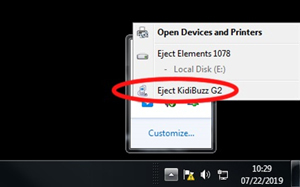 How do I transfer files from my KidiBuzz™ to a computer? 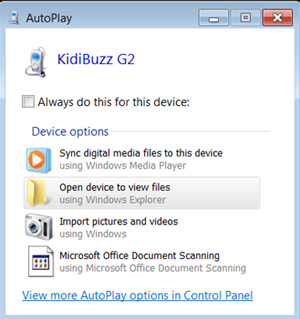 You can transfer the photos and videos you take with the camera or voice recordings you make with the voice changer to your computer. 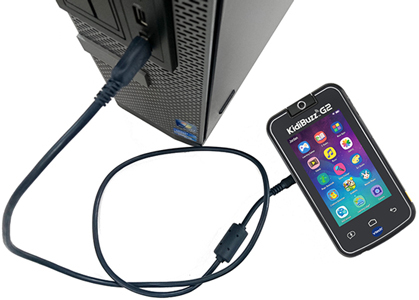 First, connect the KidiBuzz™ to your computer by using the included USB cable. Then, follow the instructions below that are appropriate for your computer. 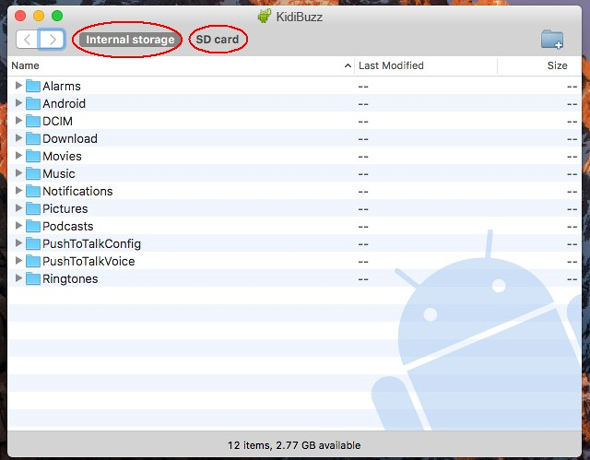 Select "Internal storage" to see all the folders in the root directory of the device. 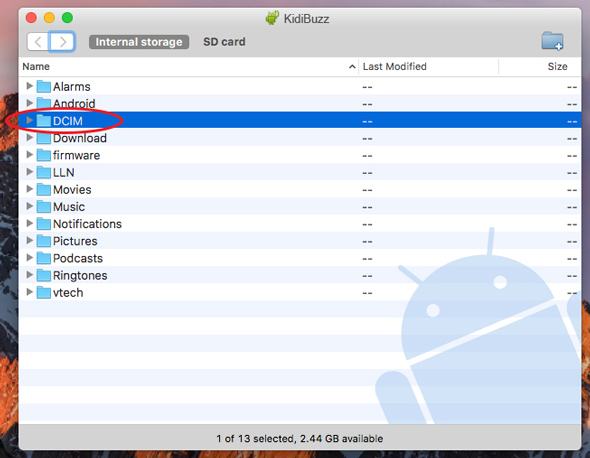 Or select "SD card" to view files on a microSD card. Note: If you have a microSD card inserted, by default, your photos and videos will be saved there. 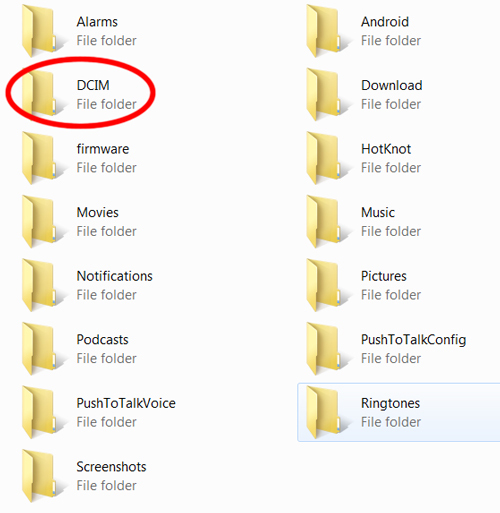 If you're looking for photos or videos, open the folder labelled "DCIM", then open the folder called "Camera" inside that. Copy your photos or videos by dragging them from the Camera folder to your computer. 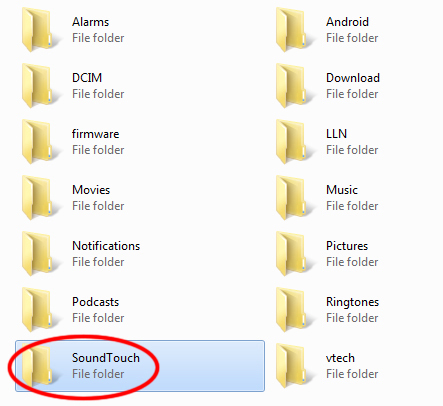 Voice files you've recorded in the Voice Changer app can be found inside the folder labelled "SoundTouch". 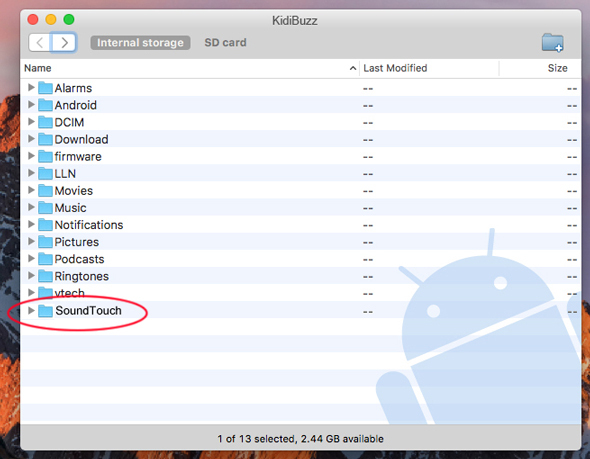 (This folder is only available in the Internal storage - not on the microSD card.) 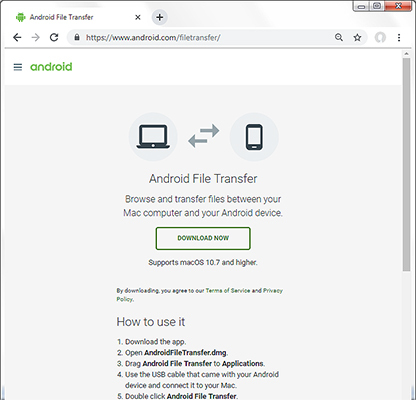 Copy the files by dragging them onto your computer.